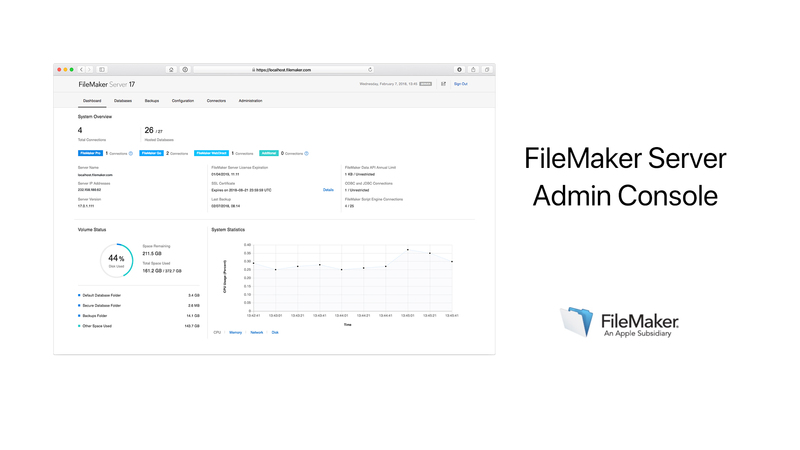 The new FileMaker Server Admin Console has been redesigned with a simpler and more responsive user interface. The System Overview area of the Dashboard page shows key information about your FileMaker Server deployment. The Volume Status area of the Dashboard page provides an overview of the current volume where FileMaker Server is installed. The System Statistics area of the Dashboard page provides a graphical representation of CPU, memory, network, and disk statistics.